There could have been no better time to spend a small portion of my Saturday at the Sunset Strip Music Festival than interviewing Venice based band, Terraplane Sun. Terraplane Sun is a band on the rise that you definitely don’t want to miss! This indie blues-rock band has been performing all over the Los Angeles area with shows at the Echo, Bootleg Theater, Hotel Café, Malibu Inn, Belly Up, Viperoom, and Café Du Nord. The band’s song, “Get Me Golden” will be featured on TNT’S Franklin and Bash and the film 21 Jump Street. Also, their video “Funnel of Love” premiered on MTV’s Buzzworthy. In addition, the show The Big C on Showtime will be featuring their songs, “Hey Rat” and “Bloodshot Eyes” this May. So far, the band has released 2 albums entitled, Terraplane Sun and Coyote and they performed several songs off both albums at the Roxy for SSMF. It was a true pleasure meeting the entire band. Everyone gave off an exceptionally cool vibe and were very proud of their California ‘Westside’ roots. Terraplane Sun consists of Ben Rothbard on vocals and guitar, Johnny Zambetti on lead guitar and mandolin, Cecil Campanaro on bass, Lyle Riddle on drums, and Gabe Feenberg on piano, accordion, and trombone. PPLA: Tell me when you started playing music. TERRAPLANE SUN: We all pretty much came from a musical family. I (Johnny) came from a family where there were guitars on the wall and from a family of musicians. My uncle played the drums. He was always around and helped raise me, since I couldn’t remember. My (Lyle) grandpa was a pretty good drummer, Doug Riddle, and he played for the Johnny Carson show. PPLA: How and when did you get together and form this band? TERRPLANE SUN: Johnny and I (Ben) met on the Westside, kind of Malibu/Venice area, and we met Lyle through other friends. Gabe came highly recommended from everyone. PPLA: What kind of sound does your music have? TERREPLANE SUN: The songs each have their own sound. As a band, we had a more recognizable sound in the beginning but now we are doing more of our own thing and it is evolving. PPLA: Who were some of your musical influences while growing up? What other bands do you admire? TERRAPLANE SUN: The Strokes, The Rolling Stones, and Bob Marley. I (Lyle) always had some cool Beatle records playing. PPLA: How are your two albums different from the other? TERRAPLANE SUN: It was a natural progression. The first album had different players and a different lineup. It was a communal effort- people just jumping to fulfill the songs that we had. The second record has a raw approach. When this lineup came together, we played the records live and learned from that. The third record is about experiencing working with a good producer and expanding on the tunes we have. The third record is also sexier. We are working on it now, it’s called Friends. For more exciting news on this band, visit Terraplane Sun. 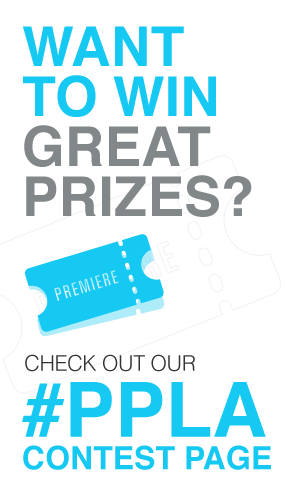 Like us on Facebook for more exclusive PPLA photos of the band.